We've got an awesome contest for you guys this week! The rad people over at @ethereal_paint have offered to give away a custom pet portrait to one of our lucky followers! Go check out their account, and give them a 'follow' while you're there!! Here's the rules: ➡️1) Post your favorite photo of your adopted animal & briefly tell us why you chose to adopt (rather than buy from a pet store/breeder). ➡️2) Posts MUST be tagged with @rescuepetsofinstagram, @ethereal_paint, as well as our contest hashtag #PaintMyRescuePet ➡️3) New posts only, do not tag old posts. You may upload as many entries as you'd like. Remember, if your account is private, we won't be able to see your entry. ➡️4) 1 winner will be chosen on Thursday at 6pm Pacific Time, and announced immediately. 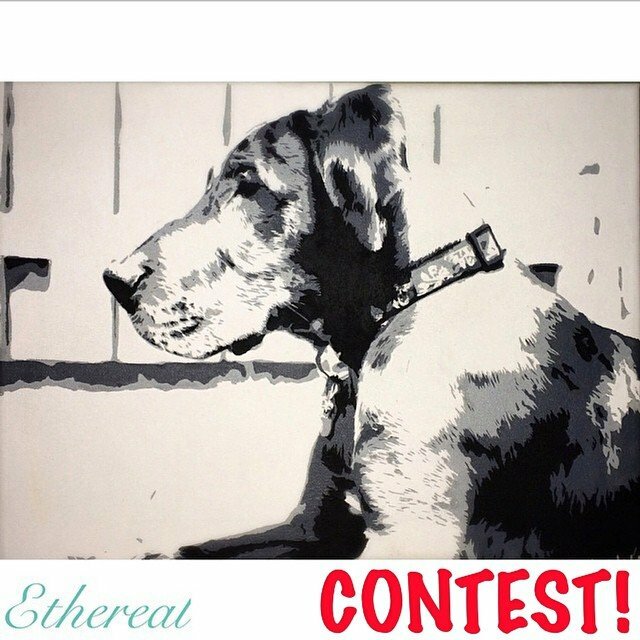 Winner will receive a 14"x18" custom pet painting from @ethereal_paint! Winner can choose any photo to be painted, doesn't have to be the contest photo. This contest is open to EVERYONE, worldwide! :) Ready, Set, GO!!!!! !